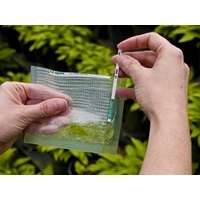 The CbMV ImmunoStrip® is a rapid detection tool for the presence of Calibrachoa mottle virus in plant foliage. ImmunoStrip® tests require no special equipment or tools to run, making them perfect for use anywhere. Results are obtained in as little as a few minutes.